Senior Chef is an 8 session cooking class focused on cooking for one or two. Senior Chef is free to attend. Everything, including the ingredients for the cooking class and recipe book are provided. Why should you attend a Senior Chef class? The free lessons include tips on meal planning, making economical choices, and keeping your meals healthy and nutritious, plus you get to eat what you prepare. Working in pairs in the class, our ‘chefs’ create some wonderful recipes including vegetable quiches, coleslaw, fruit smoothies, omelettes, chilli con carne, and yummy apple crumble. Over eight weekly morning sessions the‘chefs’ learn to prepare and cook a variety of food making a complete balanced and nutritious menu. 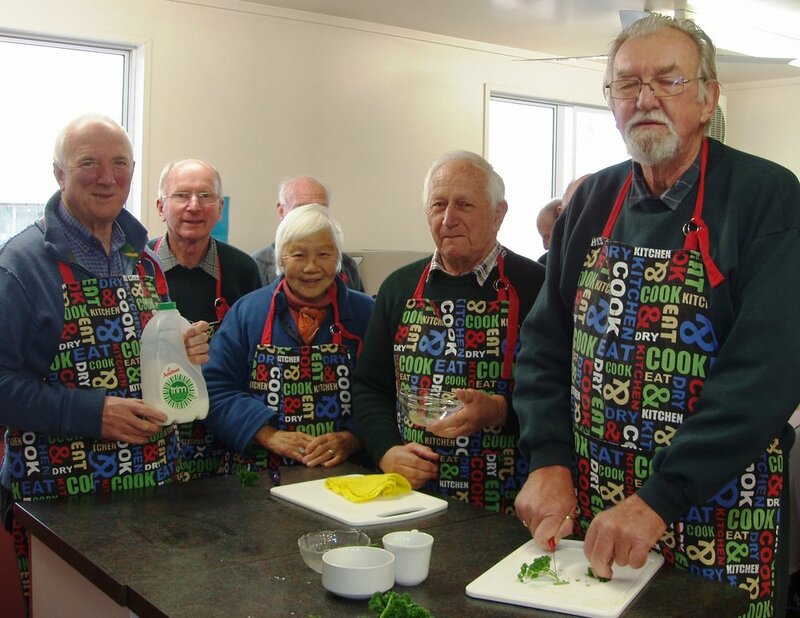 The recipe book is ideal for older people cooking for one or two people. The recipes use readily available ingredients and are quick and easy to prepare as well as nutritious and delicious.